Paradiddle-based rudiments to enhance your improvisation and creativity. 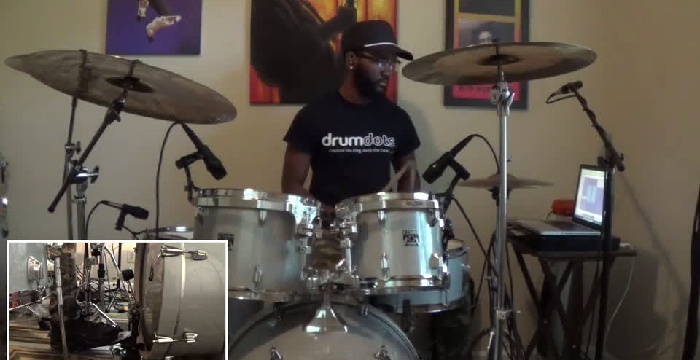 Jerome is back with the second installment of his Applying Rudiments series. Volume 2 deals heavily with paradiddle-based rudiments and shows how a change in context from straight to swung can make a big difference in the way a concept is applied. When you play these ideas up to speed, almost all of them sound too complicated to figure out — which frankly is what makes them cool. 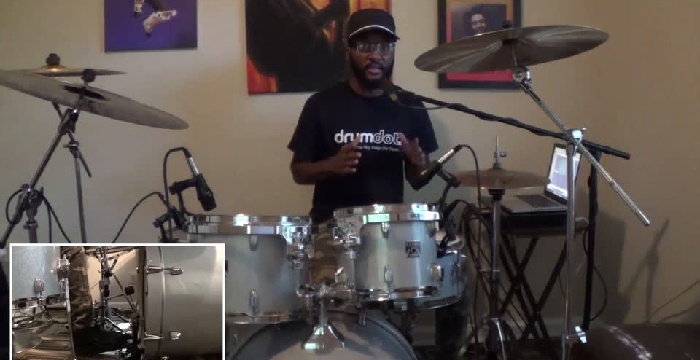 Jerome slows everything down to the basic rudiment, demonstrates how to master the concept, then how to incorporate it into a groove, and finally how to use it in improvisation. As in Volume 1, every measure can be looped and slowed down in the interactive Soundslice player, and everything is fully transcribed and synced. 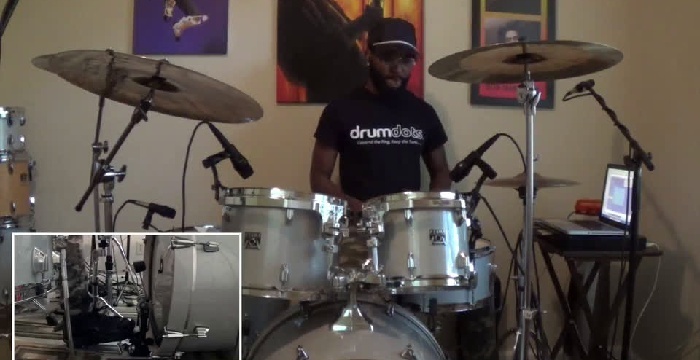 All rudiments are notated with sticking patterns to keep you on track. This course will give you a technical upgrade and, likely, a creative boost. As a bonus, we’ve included an interview between Jerome and legendary RnB artist Musiq Soulchild, in which Musiq offers some advice to up-and-coming musicians. 2008 Guitar Center Drum Off champion Jerome Flood started playing at age two and hasn’t looked back. 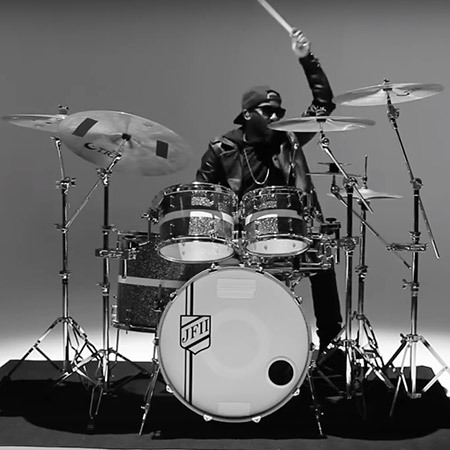 The artists he’s worked with include Musiq Soulchild, Ricardo Sanchez, Pastor Troy, Canton Jones, Travis Barker, R.L., August Alsina and Flatbush Zombies. From his beginnings coming up in the church, his jazz studies in college and his wealth of professional experience, Jerome’s unique background pushes the boundaries of contemporary drumming.